3 Ways Hardwood Floors Increase Your Home Value! When looking to improve your home by installing new floors, whether it be to sell now or in the future, you're probably asking yourself do hardwood floors increase home value? The only possible answer to this question is a resounding "YES!". Hardwood floors are an investment in your home and therefore hardwood floors increase home value. The next question would be how much do hardwood floors increase home value, well that one is difficult because there are so many factors other than the floors themselves. But, what we can do is go over the reasons why do hardwood floors increase the value of a home. Hardwood floors are beautiful, period. They are a luxurious addition to any home and no matter your taste in wood or your sense of aesthetic, hardwood floors automatically warm the house. 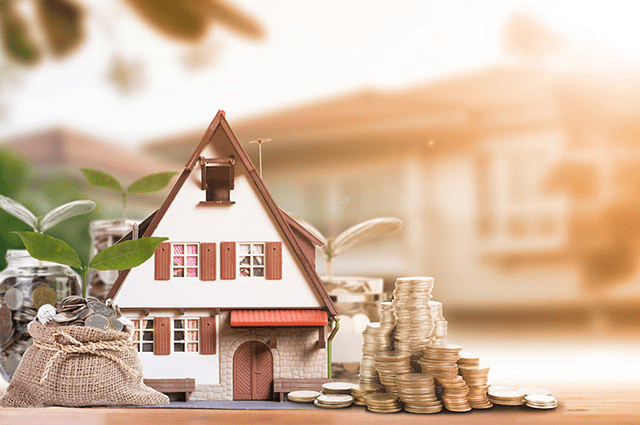 They're coveted by the real-estate market and that is one of the reasons they increase a home's Return on Investment (ROI). Whether you plan on spending the rest of your life in your current home or one day to sell it, it's an investment. It may be one that you leave your family, but an investment nonetheless. Hardwood floors help that investment to appreciate, much like having a valuable piece of art or bottle of wine. Besides the natural beauty, those with allergies or asthma tend to benefit from homes with hardwood floors because they don't hold dust as a carpet does. Dinginess and dust-laden fiber have no place here and that is another reason why they increase ROI. Hardwood floors increase home value due to the sheer elegance of them as well as the built-in benefit for those who are more sensitive to dust and pollutants. When someone purchases a new home, they tend to remove the old carpeting and install a fresh one. While this is cheap initially, it isn't in the long-run and is far harder to keep nice and clean. Carpet accumulates dust, dirt, dander, and there is no way around that no matter how many times you give it a deep clean. It also stains, wears, and tears much more often. While it is true that no one can really answer how much do hardwood floors increase home value, it certainly increases the time not spent scrubbing stains. This is another reason hardwood floors increase home value, longevity. Sure, hardwood floors need to be refinished every so often but only every ten years. But that is preserving the floor beneath while carpeting you'd have to tear out and put in fresh for any stain or damage to it. All that work for something that doesn't really increase the value of your home and will be put out on the curb if you sell it anyways. It's better to pay for something every ten years to keep the floor healthy than have to get a new floor every time a piece is damaged. Hardwood floors can last for over a century when properly cared for and they don't need much care. No one would buy a home with one-hundred-year carpeting, that just sounds gross. Hardwood floors are a more popular option for real-estate agents and homebuyers. Having them installed not only creates a warmer environment while you're living there but also helps to sell the home faster and for more. Like what was said in the beginning: do hardwood floors increase home value? YES! You can sell your home for more and faster with a bit more costliness in the very beginning. That is what scares people off of putting in hardwood floors, the initial installation is more expensive than carpeting. But, again, it saves you a lot more money in the long run and you'll probably profit when you sell your home. Installing hardwood floors is also a good idea if you're looking to flip houses, the whole goal here is to make a profit. Knowing that hardwood floors increase home value, it would probably be best to have different kinds of hardwood floors in different rooms. Help the aesthetic value of the house and give homeowners more choices. If they don't like them, they can always restain the wood. You don't have that option with carpeting. If you don't like it, you pay for a new installation. So.. Do Hardwood Floors Increase Home Value? The answer is YES! Those are 3 very good reasons why hardwood floors increase home value. Whether you're wanting to pass the house down in your family, flip it, or sell it and move to something better, having hardwood floors helps. You have the warm and luxurious beauty of the wood to live upon, less time keeping dirt and dust from settling in, less money over a longer period of time, and make more off the home if you decide to leave. It is literally a win in all direction with hardwood floors. Although, the first reason may be enough when asking do hardwood floors increase home value. Of course, they're beautiful!